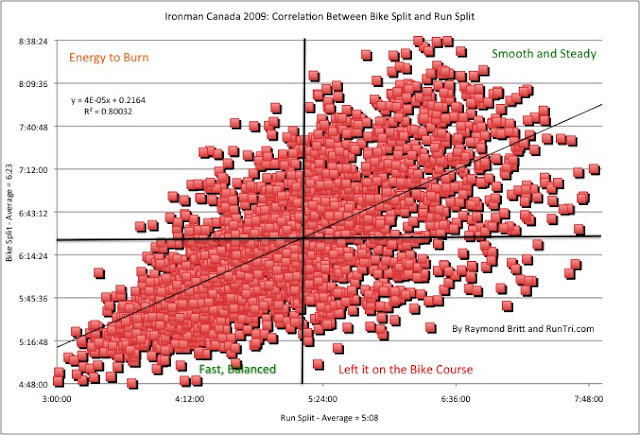 It's the most consistent challenge in all long-distance triathlons: how hard to ride the bike, while still leaving enough in the tank to have a great run. 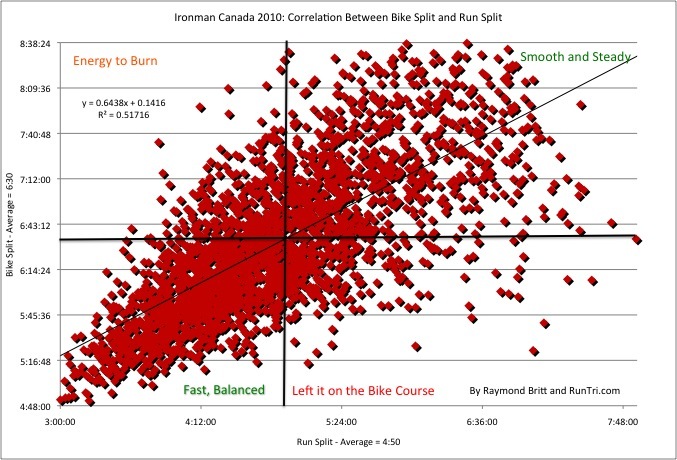 When it comes to balancing the bike and the run, there are four groups: 1. Fast and Balanced; 2. Energy to Spare for a fast run; 3. Left it on the Bike Course; 4. Smooth and Steady for a slow bike and slow run. You want to be #1 or #4. Interesting comparison between 2009 and 2010: bike faster in 2009, run was faster in 2010, as was overall finish time. Lesson: ride too fast, in good conditions or not, and it'll cost you on the run. Especially if conditions are hot. 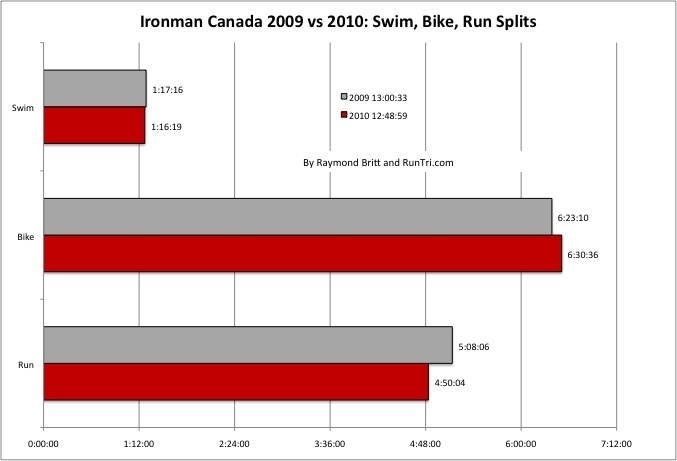 That's what happened in 2009, when far more triathletes found themselves in #3 and even #4. See charts below.